This is something I just had to try. The fact that they are named Buffalo wings makes you want to try it. ​Well I'm glad I did, they are really nice, my family loved them. They are quite spicy, but my kids are now used to a bit of spice so they didn't mind that. So if your kids are novices to chilli, decrease the amount of chilli to start with. These are baked not fried, and so easy to prepare. For parties this is truly simple, quick to make party food. And the Blue Cheese Sauce I absolutely loved with it. I like to buy 3kg of chicken wings, then I joint it myself. You need the wingettes and drumettes, not the tips. But by buying the whole wing it is far cheaper than buying the drumettes and wingettes already cut. The tips I use to make a chicken soup that day, or freeze them for later stock making. Looking for simple, spicy finger food for your next party, look no further. Preheat the oven to 200C/180C fan forced. Line two to three baking trays with baking paper. Place the smoked paprika, chilli powder, garlic powder, onion powder and salt in a large snap lock bag. Place all of the chicken in the bag and shake the chicken around to coat evenly with the spice mix. Place the chicken wings on the prepared trays, do not overcrowd as the chicken will stew in it's own juices, rather than go crispy. Drizzle with oil (you can use olive oil spray). 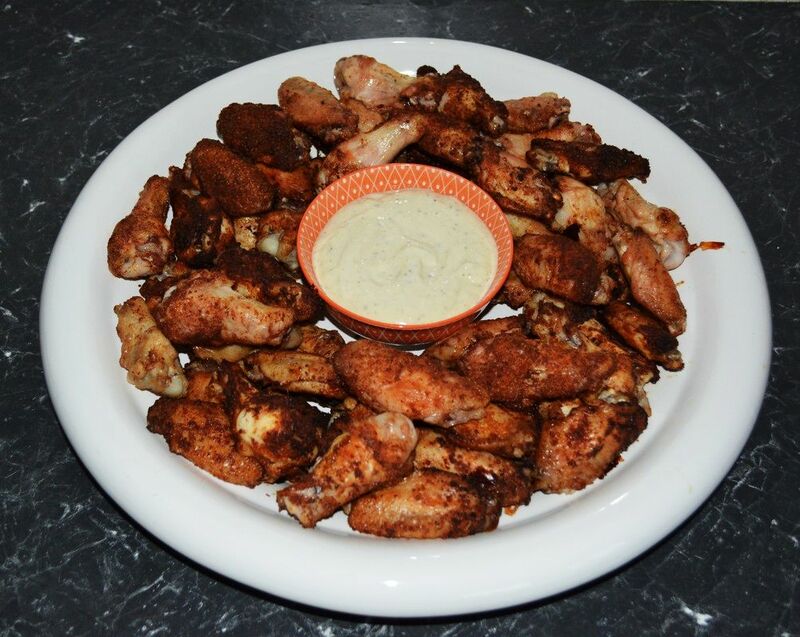 Bake for 40-50 minutes or until golden brown and cooked through, large wings take longer than small wings. Blue Cheese Dressing: Place all the ingredients in a small food processor and process until smooth. You may consider scraping down the bowl, once or twice, then blitzing again. Refrigerate until needed. But try and take it out of the refrigerator 30 minutes before you serve it. 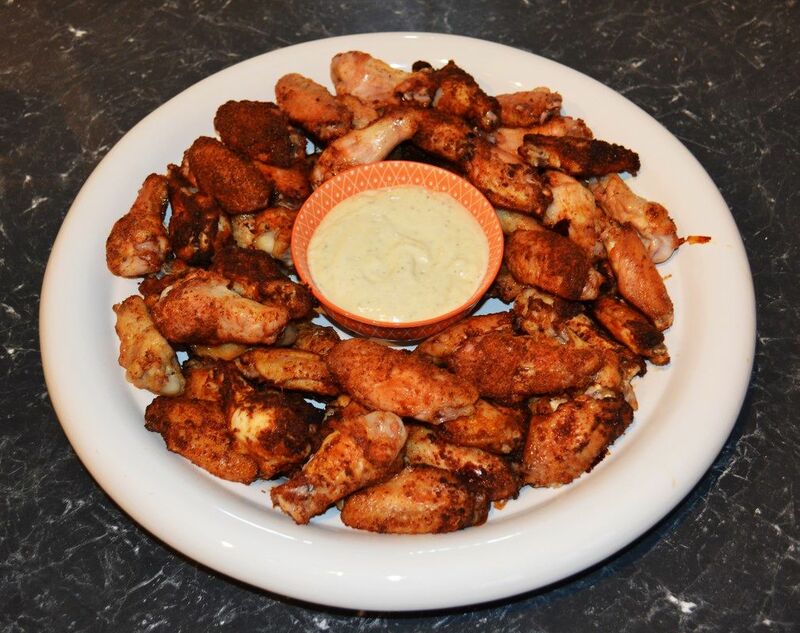 Serve chicken wings with the Blue Cheese Dressing.